As the Consumer Electronics Show was wrapping up its second day of four, I was heading out of town but not before I talked to a few more companies about their business-related products and services that were being shared at the consumer focused show. These last three products and services I want to share from CES 2018 consists of a security badge that offers four -- yes four -- authentication factors, another building andproperty management backend available in the United States and, finally, an example of the proliferation of voice assistants and multi-purpose devices. Early in my booth visits at CES 2018, I found a company from France called Twimm who were offering a building management backend for customers in France and a few select locations in Europe. 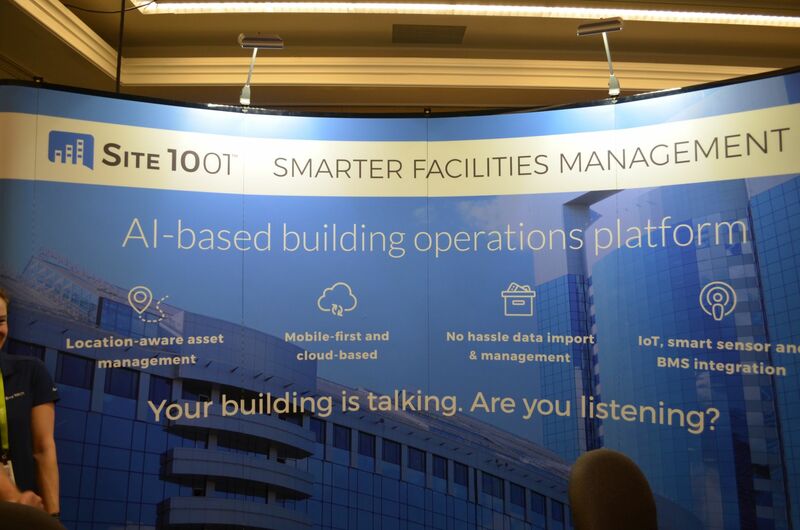 The concepts behind the service were so intriguing that I went in search for an US-based counterpart and that is when I met the folks from Site 1001. Let's begin with the setup of your service from Site 1001. As part of getting you onboarded for your service, they digitize everything about your property including the blueprints, images, warranties on equipment, layouts, sensors, etc. . Your unique building configuration is customized based on your preferences. Linked to your various pieces of equipment will be any manuals, maintenance schedules, their location, etc. Once they have everything in the system, they then train you and your staff in its use and provide long term support as you continue to use the service and expand in the future with additional properties. Site 1001 is also not going to ping you for money based on how many users are engaged within your use of the system. There is no specific per-user licensing so that means whomever needs to be using can do so without extra cost. This means any size company can benefit from the Site 1001 service and not pay more as the company/system grows. Everything in Site 1001 is location based and uses a structure of Building>>Area>>Room to break out your real property. Site 1001 is a mobile-first service, and since your mobile device can detect your location, it quickly brings up the applicable information for the space you are currently in so you no longer have to search for any space. The system is also fully built to help you easily document maintenance, trouble calls, and building modifications so that your Site 1001 data is fully accurate and up to date by the minute. I spent 30 years in the U.S. Navy and held a security clearance almost the entire time, so I used a wide variety of security badges over that time frame. The vast majority of them were magnetic strip-based badges, and in this age of corporate espionage those old methods are just too vulnerable. 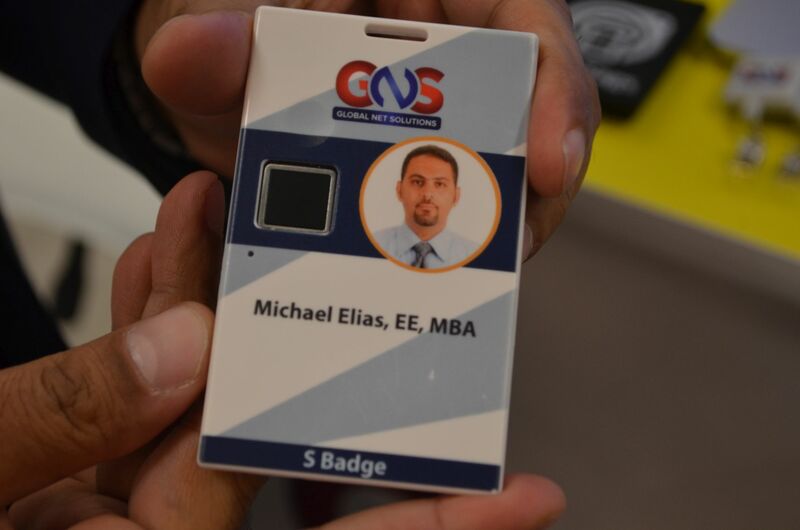 Global Net Solutions was demoing their new S-Badge in the Smart Cities area of CES and it offers four authentication factors. While it might, I emphasize the word might, be possible to spoof one of these, getting all four right is highly unlikely according to company reps who showed me the technology. Protected Visual Print - a combination of raised print and printing itself that can not be erased and replaced without damaging the card surface itself. Bio-metric Authentication - an embedded fingerprint reader only reads the users authorized fingerprint. Secure element - a programmable NFC chip that authenticates the users location and their authorization to be there. Location - communicates within an indicated zone based on beacons around the facility to constantly validate its users authority to be in that location. Utilizing Artificial Intelligence and Machine Learning, the S-Badge system learns/understands where a user should be in the secure zone and when unexpected behavior shows up then an alert can be sent to security personnel to further investigate. This card is also built for safety as it features an emergency button that when depressed can alert safety personnel and bring assistance at anytime inside the secure zone. What impressed me with the S-Badge is that the card must be inside the facility boundaries to become active and the user must then use bio-metric authentication to gain access to secure spaces. That means if someone was to steal your S-Badge they can not just gain access to the secure space you are authorized to be in by just possessing your card - they also need a fingerprint. This feature also can help companies track employees work hours since their bio-metric authentication along with location verifies they are in the building at work. By the way, the moment the badge leaves the monitored area it becomes in active until the employee returns - no monitoring occurs outside of the work area. The biggest trend at CES 2018 was the connection with products and voice assistants. From inside your car all the way to your refrigerator, television, and of course computers and other devices. In the area of third party products there were many that not only incorporated voice controls but also provided other capabilities as part of the package. 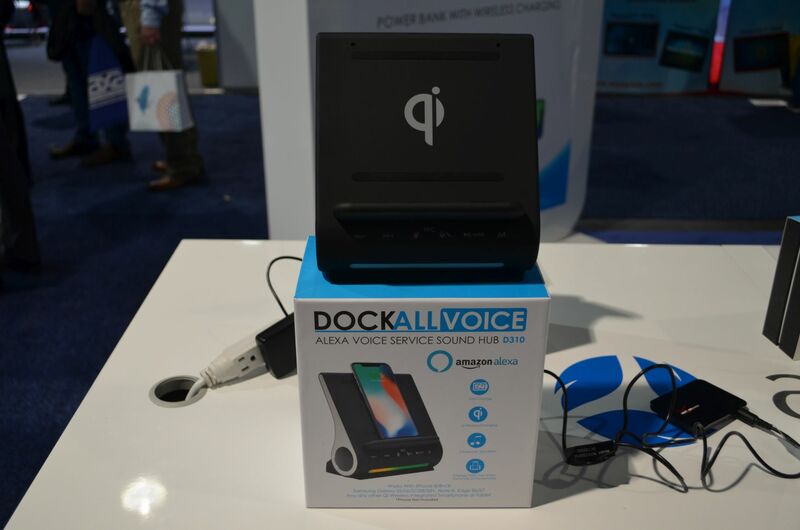 Azpen Innovation has been making wireless docking stations and chargers for a while but at CES 2018 they added two new models that also include voice control with Amazon's Alexa assistant. The other new model supports Lightning based devices like the iPod, iPhone, and iPad. Right now I just have a wireless Qi charger on my desktop and that is all it can do but with new products like the D310, I can do multiple activities all while my device is fasting charging for my next time on the road or being away from my desk.